Linck coached a successful year at THSC with 1 swimmer qualifying for the 2008 Olympic Trials, 4 swimmers qualifying for Nationals, and 6 swimmers qualifying for Junior Nationals. 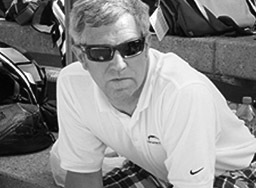 For the 5 years prior, Linck was the Head Age Group Coach for Thunderbolt Swimming and helped lead the way to the success of THSC. Winner of twelve consecutive Oregon Swimming, Age Group Championships (2000-2004). Coached several Oregon Swimming, Inc. Records (in excess of 30). Winner of four consecutive Ontario, Canada Provincial Age Group Championships. Assistant Coach on four consecutive National (Canadian) Team Championships (1987-1988). Coached two (Canadian) Olympic Trial Qualifiers.